Adam Levine and Behati Prinsloo will soon become parents of a baby girl. The celebrity couple is expecting a baby soon. However, there is some time before the baby girl actually arrives. Even at this time, the star wants to have more babies. 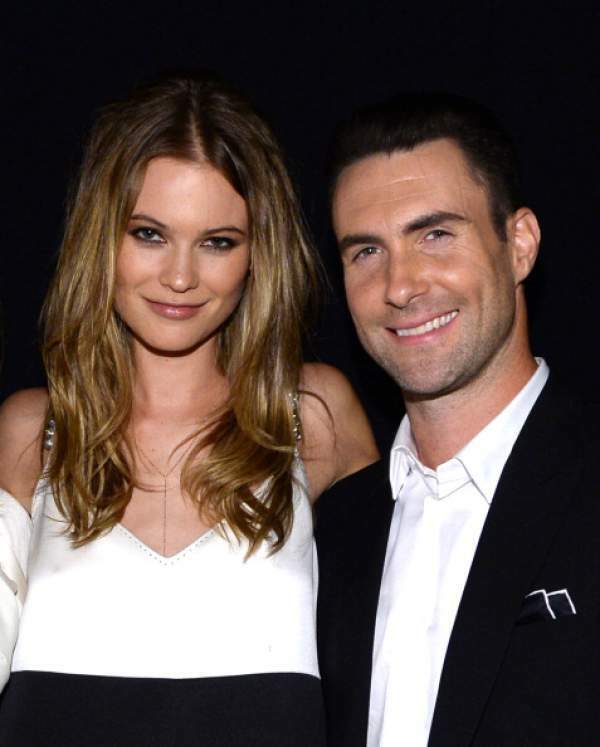 Adam Levine was proud when he announced the gender of his baby girl with a girlfriend (now wife) Behati Prinsloo. He said, “I am going have a girl” with a big smile on his face. Earlier, the couple (Levine and Prinsloo) was rumored to be haveing divorce. It was in the news that they are ready to have a family yet. Some news sites reported that Adam wants to ride along the career waves as his music career is currently at this time. While some reported that Behati wanted to pursue and focus more on her career. It is good news for the fans that Adam and Behati are altogether ready for the future family. As of now, they are waiting for the baby to arrive. Behati revealed that she loves to watermelons during her pregnancy. In the meantime, Behati shared a picture of the baby bump on her official Instagram account. In the photo, she is donned in her undies and a cap. She captioned it “so far so good,” what it means is that her pregnancy is fine. Meanwhile, Adam was quoted by the Bitbag saying that he wants to have a big family. So, it may be possible that they will work around having more babies. As of now, he is eager to have the first child in his life and has planned for it in advance. Our team wishes them a good and happy life ahead. Stay tuned for latest celebrities’ news and Entertainment industry updates.